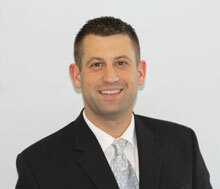 Dr. Nick Alfieri received his chiropractic degree in 2009 from Palmer College of Chiropractic in Davenport, Iowa. Palmer College, known as the fountainhead of chiropractic, is the largest and most modern chiropractic school in the world. With more than 40,000 alumni, it has set the standard in chiropractic excellence. Dr. Nick Alfieri practiced for three years in Spirit Lake, Iowa. In the fall of 2012 he moved to his hometown of Portage, Michigan to practice with his father Dr. Joe Alfieri. His goal has always been to create a practice capable of delivering care that is safe, effective, patient-centered, and personal. If you have any questions, please feel free to contact our office at 269-327-8990.